Odds and Ends/parts sale Mego KISS, Corgi, Aurora etc. Thread: Odds and Ends/parts sale Mego KISS, Corgi, Aurora etc. Just some odds and ends I wanna sell, to make room for newer stuff, and to afford some parts to complete figures. All prices are negotiable, as I'm not really sure how much a lot of this really goes for. If you want an item, and the price doesn't seem right, or you just want a better deal, send me an offer! Anybody who's ever dealt with me knows I'm a fair businessman, and will always give great deals. Last edited by B-Lister; Nov 30, '18 at 11:47 AM. Last edited by B-Lister; Dec 1, '18 at 9:35 AM. Model kits. All parts present on the Neanderthal, except nameplate. Ape missing head and feet. $15 for the ape, $40 for the Neanderthal, $50 for both. Last edited by B-Lister; Dec 1, '18 at 9:34 AM. 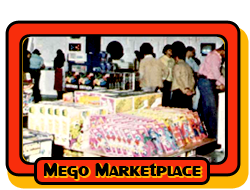 I'm also looking for Mego Trek, so if you wanna trade, let's talk. My pics don't seem to be loading, anybody got any tips? The pics from the first 2 posts are showing; it's the 3rd that isn't.